EnviroVibe Water is one of the Secrets to Your Health. We have all had the experience of listening to a piece of music that really stirs our hearts and minds. The music literally brings tears to our eyes and joy to our hearts. There is a reason for this, that goes back through time to an earlier musical scale now referred to as the “Solfeggio Frequencies “. This is a six-note scale that does not bear any resemblance to our modern seven note musical scale. The solfeggio frequencies were the original frequencies used by the Gregorian Monks when they chanted. The chant, based on the six notes, penetrates deep into the conscious and subconscious minds, drawing forth emotional reactions, which we are sometimes unable to completely control. Dr. Candice Pert, PhD, reinforces this observation stating, “Energy and vibration go all the way to the molecular level. We have 70 different receptors on the molecules and when vibration and frequency reaches that far, they begin to vibrate”. The solfeggio scale was ‘rediscovered’ by Dr. Joseph Barber who claimed to have been guided intuitively to find a pattern of six repeating codes in the Book of Numbers. He found in Chapter 7, verses 12 through 83, number references that, when deciphered using a numerological technique, could be reduced to a single digit. This revealed a series of six electromagnetic sound frequencies which he determined to be the six missing tones of the ancient Solfeggio scale. These original Solfeggio frequencies, still have the capacity to transform your life in miraculous ways. Each of the six Solfeggio frequencies correspond to, not only a note on the tonal scale, but to a cycle per second Hz frequency number, and to a specific colour, and, ultimately, to a chakra in the body. 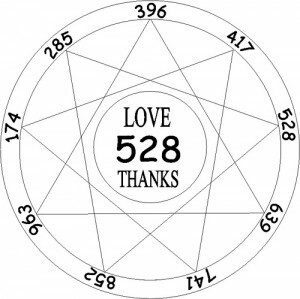 The 528 Hz frequency is known as, the “528 Miracle,” because it has the remarkable capacity to heal and repair DNA within the body and is the exact frequency that has been used by genetic biochemists. Green, of course, is the primary colour of our Mother Earth, because our planet vibrates to the frequency of love or of the heart. Green also can be found in the middle of the colour scale as seen in a rainbow. Dr. Joseph Puleo, is a naturopathic physician and one of America’s leading herbalists, who began his research into this field in the mid-1970’s. He was Divinely inspired to examine the Bible, where he uncovered in Genesis: Chapter 7, Verses 12-83 a pattern of six repeating codes around a series of sacred numbers, 3, 6 and 9. When deciphered using the ancient Pythagorean method of reducing the verse numbers to their single digit integers, the codes revealed a series of six electromagnetic sound frequencies, which correspond to the six missing tones of the ancient Solfeggio scale. Dr. Horowitz is adamant the solution to all of humanity’s problems lies within the music, which he believes is precisely what the Bible was referring to when it reads: “and first there was the Word.” Dr. Horowitz believes the “Word” means the music, or, the frequencies. He has therefore christened this ancient musical scale as “The Perfect Circle of Sound” due to its immaculate symmetry of mathematics, sacred geometry (three perfect triangles) and sound frequencies, which emanate directly from the Divine Creator. “The Kingdom of Heaven, in the world of physics and mathematics, is called ‘the musical mathematical matrix.” So, now we’ve got the core, creative frequencies of that matrix, where there is nothing broken, there is no dis-ease, there is no dissonance, there is only harmony and health, which is the optimal harmony,” he concluded. Nearly all the music we hear today on the radio and that is sold in stores, whether rock, jazz, soul or classical, is atonal and counterproductive in comparison to the amazing transformational powers of the great Solfeggio tones. Our modern music is literally at dis-ease with the human body. Each Solfeggio tone is comprised of a frequency required to balance your energy and keep your body, mind and spirit in perfect harmony. Because the music holds mathematic resonance, the original frequencies are capable of spiritually inspiring mankind to be more “god-kind”. Where do these tones come from? Pythagoras of Samos? As I’ve mentioned, the Pythagorean method is a simple reduction method, used to turn big numbers into single digits. The values of all digits in the number are added up. When after the first addition the number still contains more than one digit, the process is repeated. Here’s an example:456 can be reduced to 4+5+6 = 15, and subsequently reduced to 1+5=6. So, the number 456 reduces eventually to the single digit 6. The Solfeggio frequencies were lost because throughout history different tuning applications have been used. Ancient tuning practices used a system of tuning known as “Just Intonation.” This method featured pure intervals between every note that were mathematically related by ratios of small whole numbers leading to a much purer sound. The tuning practice adopted for western cultures from about the 16th century and used today is known as “Twelve-Tone Equal Temperament”. According to Joachim Ernst-Berendt, the 12-Tone Equal Temperament mistunes all consonant intervals except the octave. Our modern scale can create situations such as ‘boxed-in’ thinking, stuffed and suppressed emotions, fear-based or lack consciousness, all of which then tend to manifest into physical symptoms called ‘dis-ease’. Our modern day musical scale is out of sync when compared with the original Solfeggio scale. If we want to bring harmony in our personal lives, we need to replace the dissonant western scale with a web of subtle and clear intervallic relationships of the Solfeggio music or the actual frequency. Let the music frequency become once again a tool to raise human nature and a method to connect you with the Source. Tune yourself back to the perfect healthy vibrations by drinking not only structured, but imprinted, Water. This water is the vibrational intent to imprint the desired outcome of structured hydration and energy alignment. I know this is quite a mouthful, but read more about it in my free e-Book. Nikola Tesla, the great genius and father of electromagnetic engineering, had once said, “If you only knew the magnificence of the 3, 6 and 9, then you would hold a key to the universe”. The 3, 6, and 9 as I have said, are the fundamental root vibrations of the Solfeggio frequencies. Albert Einstein stated: “Concerning matter, we have been all wrong. What we have called matter is energy, whose vibration has been so lowered, as to be perceptible to the senses. There is no matter.” All matter “beings” vibrate at specific rates and everything has its own melody. The musical nature of nuclear matter from atoms to galaxies, is now finally being recognized by science”. That is why these frequencies are so powerful. They can literally bring you back to the original tones of the heavenly spheres and put your body into a balanced resonance with perfect health. Solfeggio music imprinted into water is the key to the healthy individual. You can either throw it away or you can use it to find healing and harmony, health and well-being. Just experience the frequencies! Like I have. Even among ancient cultures, the power of sound waves was known to influence the human body. Shaman used chanting and drumming to focus their spiritual, mental and physical energies. In short, they created and used sacred music to heal. David Hulse is credited with recognizing sound resonance as a basic principle of good health. He studied how certain sounds and frequencies could activate DNA and discovered that biochemists use the 528Hz frequency of the solfeggio scale to repair DNA. The Institution of Health Science has a Cell Quicken RoyalVibe device, that structures and imprints water with your frequency of choice. This is called “EnviroVibe Water” and is the vibrational intent, to imprint the desired outcome of structured hydration and energy alignment. 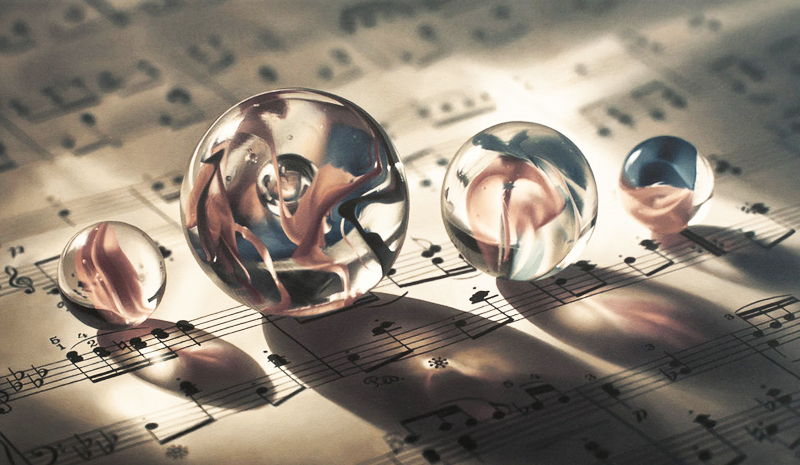 You get the music of the hemisphere with all the healing qualities in your glass of water. I would recommend focusing on the 9 Solfeggio tones. The 6 main and the 3 additional tones, hold an infinite array of healing properties. They have been well researched and many people experience their benefits every day. This is a vast, interesting scientific health journey, if you have not already received it, but want to get my free e-Book, on “5 Secrets to Total Health, Forever…” and receive my weekly emails, complete the form to the right of this article.